Wisdom tooth removal is perhaps one of the most stress-inducing dental procedures for many people. But modern dentistry has made significant advances in all kinds of dental procedures, so even something as ‘scary’ as wisdom tooth removal need not be feared so much anymore. Especially so if you undergo the procedure at le tooth – our whole treatment philosophy is about putting the patient’s comfort first. 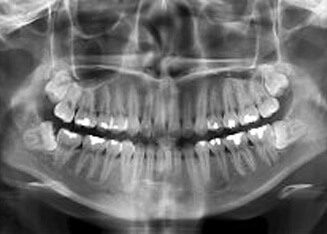 Wisdom tooth, or the third molars that come up at the very end, are four in number, two on each side on the top and bottom jaw. For some people, the molars grow in during the teen years, but some may have to wait till their twenties. Since these molars are the last to erupt, they often run out of space and might come out in a crooked way, or they might even get stuck. In such cases, the dentist will often recommend wisdom tooth removal. If there is enough space in the teeth, you won’t have to remove the molars because as they erupt they will settle into the available space. However, the problems occur when there is not enough space to accommodate them. The best time to get the tooth removed is before the roots are fully formed. To assess how the tooth is coming out, your dentist will first perform a dental examination and/or take x-rays. During the procedure, you will receive local anaesthesia near the extraction site. In a local anaesthesia procedure, you will be awake during the extraction. Though you may feel the tooth being moved and some pressure, you will not experience any pain. Sedation anaesthesia may also be administered if that is a better option for your specific condition. This type of anaesthesia suppresses your consciousness during the procedure, and prevents you from feeling pain. You will also receive local anaesthesia. Some situations may require general anaesthesia. During the procedure you will not be awake. As you recover, if you develop a fever or feel unbearable pain even after taking pain killers, consult a dentist immediately.